Head to the “Pearl of Africa” for a truly once-in-a-lifetime experience and discover Uganda’s wild treasures. With three unique safaris, there's nothing quite like it... From a Game-Drive & Walking Safari in Uganda's best kept secret, to an incredible Boat Safari on the Nile's Jewel, and to a magical encounter with the most gentle giants on a Gorilla Trekking Safari in the lush Bwindi Impenetrable National Park — a trip to Uganda is absolutely a check off the bucket list! Uganda’s best kept secret might just be Kidepo National Park. One of the most remote parks in Africa gives this gem all the more appeal – as you will most likely never see more than one other vehicle during the game drives. It truly feels as if you’re the only one in Kidepo. Head on an unforgettable safari for two or three days where you’ll get up close and personal with lions, giraffes, elephants, buffaloes, and crocodiles – and in the years to come, rhinos. Along with its dizzying array of endemic wildlife species, Kidepo is also home to the legendary Karamojong, one of Uganda’s oldest and most distinct cultural groups. The Karamojong are traditionally pastoralists and live in close-knit communities known as “manyattas” which are made up of well-defended huts enclosed in a reed and mud fence. Famously known for their fearsome skills as warriors, the Karamojong are in reality very peaceful and hospitable people keen to share their unique culture and values with the world. In addition to game drives and walking safaris, you’ll have the opportunity to embark on a challenging yet scenic 10-mile hike in the Morungole Mountains where you’ll visit the Ik Tribe, one of the most remote Tribes in East Africa. A visit with this tribe is rare to say the least, as less than 10,000 members exist today. A stay at the boutique Apoka Safari Lodge promises expansive savannah views with stunning sundowners that sprawl across the park in the shadows of the mountains. With only 10 spacious rooms and a genuinely personable staff, the lodge is a perfect base for the long days on an unforgettable journey. The property also features a pool, with a nearby watering hole, where you may catch some elephants, lions, and other wildlife taking a drink! Murchison Falls National Park, the Nile’s Jewel, is one of the most scenic spots along the Nile. Take a two-to-three hour Nile cruise by boat, where you’ll see the Murchison Falls and animals along the way. A boat experience offers such a different perspective from a safari vehicle, as you get even closer to the elephants, hippos, crocodiles, and birds. An hour plus away, there’s also an amazing opportunity to trek with Chimpanzee’s in a beautiful natural rainforest dominated by giant mahogany and ironwood trees. Paraa Safari Lodge is a large property with various accommodations to choose from, the best options in our mind are the well-designed tents. With only three currently – a collection of ten are being added that will have their own facilities separate from the main lodge –the tents offer an authentic ‘safari’ experience with modern sensibilities in an intimate setting. The proximity of Paraa Lodge to the Nile River is quite unlike anything else, with the boats docked just minutes away. Situated on the South bank of the Nile, Baker’s Lodge is an intimate, safari-style lodge set within a large private area with direct river access, large shady trees and wetland areas hosting abundant birdlife along the water’s edge. The views onto the river are vast and magnificent with islands hosting elephants bathing and pods of hippos regularly viewed. Though a more boutique stay compared to Paraa Safari Lodge, take note that it is a 30-minute drive to the boat docks. Don’t let the drive deter you though, as Baker’s Lodge offers a closer opportunity to see Murchinson Falls from above in a hot air balloon, all as the sun rises over the rolling savannah of the par. 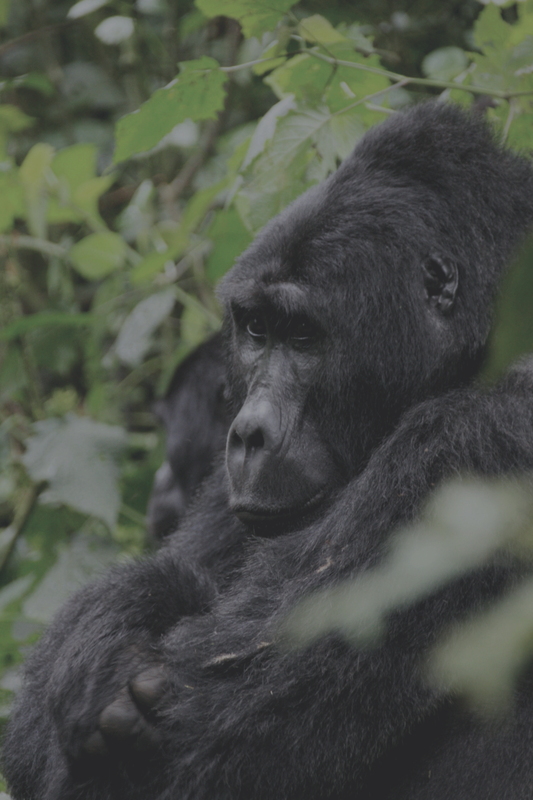 They say to save the best for last, as one of the coolest you’ll ever have the opportunity to do is Gorilla Trekking. A magical experience in Bwindi Impenetrable National Park, a lush rainforest, where you’ll get up close and personal with these gentle giants for an hour. If you prefer an abbreviated experience, there’s the option of a 1-2 hour round-trip hike, but to get the full experience – you are in Uganda, after all – opt for the 6-12 hour round-trip hike. And not to worry, you’ll have a porter to carry your belongings, help you hike, and also offer any assistance during this experience. For an even more VIP experience with the gorillas, you can go along the trekking experience with one of the doctors, or meet with them before or after you go trekking – as doctors from all over the world come to Uganda to study these gorillas as they have become such a rarity in Uganda, Rwanda, and the Congo. The newest lodge, Trackers Safari Lodge, is beautifully designed and commands spectacular views. It features 8 rooms with family-friendly options in addition to a nice pool. The spunky staff will take care of all your needs. Buhoma Lodge is an intimate property with stunning, uninterrupted views of the Bwindi Impenetrable NP. This lodge has a real sense of place with great service. Although it does not feature a pool, we do love its close proximity to the village, where you can pick up all sorts of local handicrafts. GETTING THERE: The best way to get to Uganda is to fly on Brussels Airlines with a non-stop flight to Entebbe from Brussels (JFK > BRUSSELS > ENTEBBE). You'll often need to do an overnight in Entebbe, but if you can book a flight that avoids an overnight stay, we highly recommend it! The best way to get around Uganda is by flying a scheduled or chartered flight through Aero Link. Mozambique — A quick flight through Johannesburg and you'll be on the beautiful beaches of Mozambique, a tiny private island in the jewel-like Quirimbas Archipelago. Seychelles or Zanzibar — Take a direct flight through Kenya to reach the endless azure waters and unspoiled beaches with coconut palms in the Seychelles or Zanzibar.